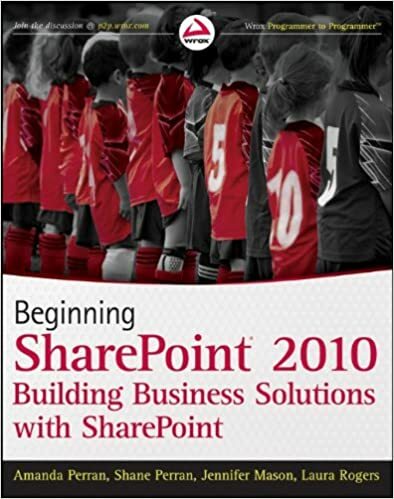 Microsoft SharePoint 2010 overview. Select to enlarge. SharePoint provides organizations and all who work within them to take knowledge from someone’s hard drive and to a shared forum that fosters collaborative solutions. Great concepts and look at all the options available. However, I have found three challenges to SharePoint organization adoption. The challenges limit end-user adoption and the way people view a SharePoint alternative to current tools or workflows to accomplish or frustrate their work. Whether improved or not, people get used to the way they do things, just because something promises improvement does not mean others care to use it. SharePoint takes away the communication saturation that all of us deal with and towards the SharePoint as a crowd sourcing solution. Planned and thought out, however, these three challenges present an opportunity that SharePoint can revel in and improve user awareness as well as increase participation. Without proper SharePoint design I have created a soup of a mess. What do I mean by this soup? Just because you can share does not mean you should share: “reply all” email abusers subject this painful reality to too many. I really do not consider myself a SharePoint wizard, I hate working with SharePoint as much as I love working with SharePoint’s potential. Why? The means need to justify the end and here, with this list of ingredients to build a SharePoint portal, shows us that too much of a good thing can cripple SharePoint organization adoption. Web Parts enable designers and users to modify content and appearance of Web pages directly from a browser. This list provides some standard Web Parts and ways you can use their features for change management. Announcements The Announcements list contains messages posted by contributors to the site (who have necessary permissions). Use the List View Web Part named Announcements to display and update these messages on a site. Links The Links list contains links to Web pages that your team members will find interesting or useful. You can use the Links List View Web Part to display important or interesting links in different locations on your site. Shared Documents A unique Shared Documents library is standard on all team and document workspace sites. You can add the Shared Documents List View Web Part to pages that are subordinate to the site where the library originated, but not to other sites. Use the Shared Documents List View Web Part to provide quick access to team documents in different locations on the site. Site Assets This library stores files that are included on pages of the site, for example, images from Wiki pages. Site Pages This library stores pages on the site. You can use the Web Part to display links to all those pages from a single page of your site. Links Valuable set of links and descriptions you can arranges for categories like: training, resources, news, or program information set in neat, logical places for people to reference. If you want to influence a new way of thinking or a new way of working the best design starts with the end-user’s mental model. If you do not first understand the target of your design and the target of your design has different motivations than you. Without community personas, or simply the end-user in mind from the start. Getting to WIIFT? is crucial to change management. Crucial for adoption motivation as adoption goals, rely on motivation, their motivation, not yours. Your objective to invest in SharePoint is more efficiency, quicker up-take, and increased productivity. The enterprise objective to invest in an intranet is share the collected enterprise knowledge. The sum of individual content is far greater than the parts. Knowledge exchange and collaboration provides competitive enterprise value. Note: USER-FRIENDLY, as in friendly for the business to achieve their goals, not what the design team can design or what the IT team understands. Enterprise applications are not highly-complex systems, organizations, made up of people, truly define highly-complex system, but well beyond the scope of most IT thinking. When we think enterprise, also think transparency. The more information available, the more information meets need. People do not need to wait without communication, search for communication, or hang on a manager’s timeframe to communicate. Unless you have a compliance issue, I advocate information and communication transparency. Let everyone have access to what is available. Publish and make available documents, discussion boards, and news items for people to collaborate, forward, comment, and fill in. You can never communicate all things to all people, so let people join the communication to answer or fill in gaps no one person may have a handle on. What’s the worst that happens? People find out. People understand. People opt-in. Ask for input. Also, worry less about content, as people are not inclined to just browse at work for the heck of it. I also use the term “application” what is the application of SharePoint. When is the application most relevant. One application does not meet all needs. Challenge 2: SharePoint is a Portal — OK, so SharePoint lets people share, but SharePoint may shine brightest as a portal represented in an Internet browser. Portals are accessed through browsers with web addresses, the browser renders, or represents, information. Portal designs each can have unique goals, unique layouts, and unique community reaction in mind. 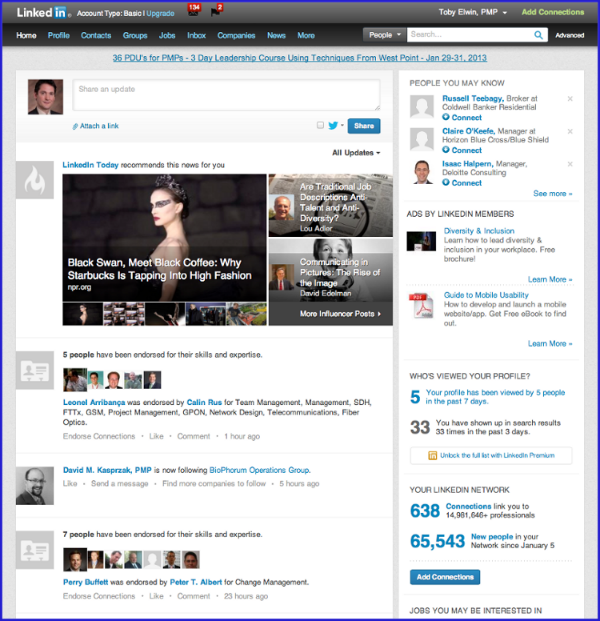 When I talk about a portal LinkedIn, Facebook, Amazon, Twitter, or Pinterest each represent a design for their target community persona easily allow someone new to share, collaborate, and contribute what interests them within their community. Note: LinkedIn.com or CNN.com are internet pages. The term most used for an internal network is intranet, not Internet and to reach your company SharePoint site the url address takes you to a page within your company’s secure firewall. A SharePoint portal represents the information you want to convey. 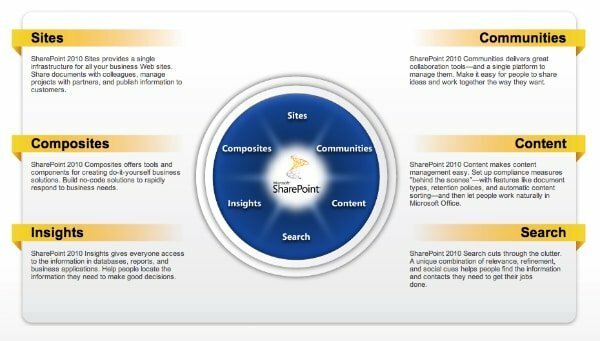 While the simplest SharePoint interface can list files and folders in an a tree structure like you may see on your hard drive, SharePoint also offers a platform and interface capability where you can create landing spots to communicate, present data, graphs, charts, key performance indicators, specific for roles and specific for user activity. A portal, or website, design represents interaction between user and application or component. A browser represents the interface design. Design either attracts or detracts from someone’s ability to read and navigate, for example, this site’s design and this post you are reading through the interface design. The interface you design layouts out a pattern where you hope people go. The path people’s eyes travel or the actions people could take to accomplish tasks. This matters. The interface is like a dashboard and a successful dashboard needs to meet WIIFT? as each will only choose to return if they feel WIIFM? is met. Some interface design tips including two- or three-column layout. See the LinkedIn in and Amazon pages as examples of both. There are advantages and disadvantages of 2- or 3-column layouts help plan your SharePoint interface. There are a host of widgets you can add to a SharePoint site. The widgets, or as Microsoft calls them, web parts, require not code, but simply select and move into place. Microsoft has list of web parts that you can mix and match to build your portals and pages. The ratio of form:function must align my goal to create value for those who invest their time (resource) to read this and the interface represents the first key to user-friendly value. My site design reflects form or function? Address the above challenges and invite more people to create new communities as well as discover new ways to publish and collaborate.